Review: I think that having come from countries whose main income is tourism, Taiwan is a bit of a culture shock. This is a manufacturing country, not a tourist economy, and therefore things here are set up for the local population and not to cater to random tourists like me. 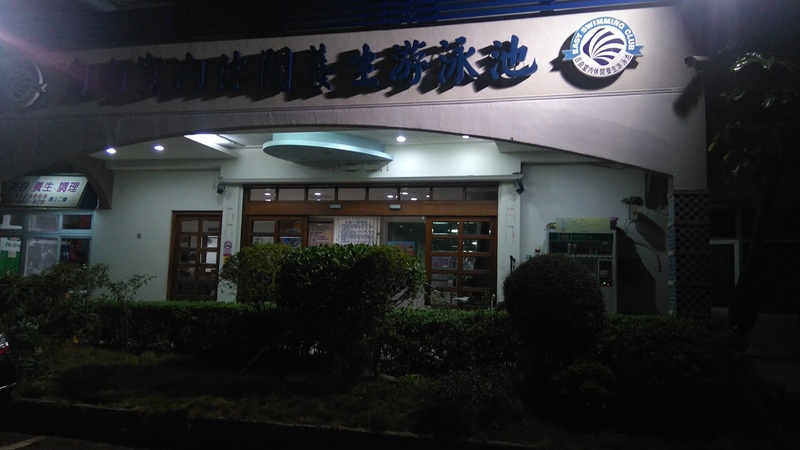 Having taken the train from Taipei to Kaohsiung City, I went out that evening to try and find a gym. New city. Same old story. 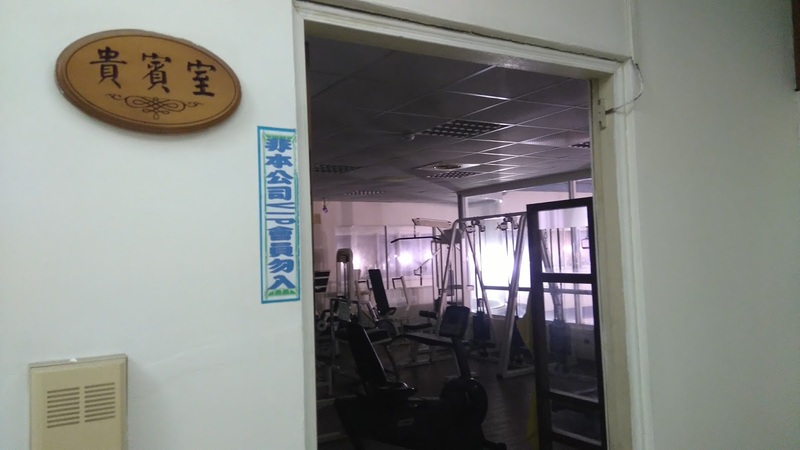 The first gym I found was the Fitness Factory wanted 600 dollars for a day pass, earning them a spot in my article, Gyms to Avoid in Taiwan. 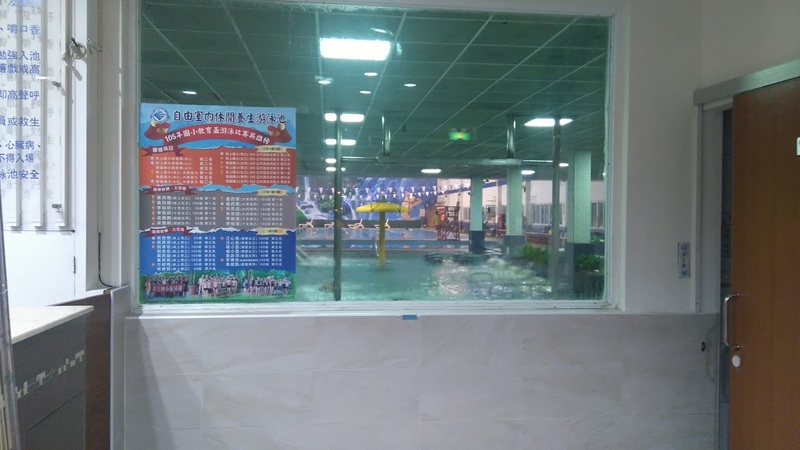 After this annoyance, I managed to find, 自由室內休閒養生游泳池 or the local Indoor leisure health swimming pool. As well as having a swimming pool, they also have a gym upstairs on the second floor. And, even better, they were open late on a Sunday and were willing to sell me a day pass for 220 NTD (Approx £5). The gym itself is kind old, lacking in equipment and was one of the more expensive that I trained in. But given the number of failures, I couldn’t have been happier to find it. The gym reminded me of the kind of leisure centres we used to have in the UK about 20 years ago. Next to the gym was a strange VIP gym room, but not really sure of whats VIP about it. There was no-one training in here and the equipment looked exactly the same as the non-vip next door. 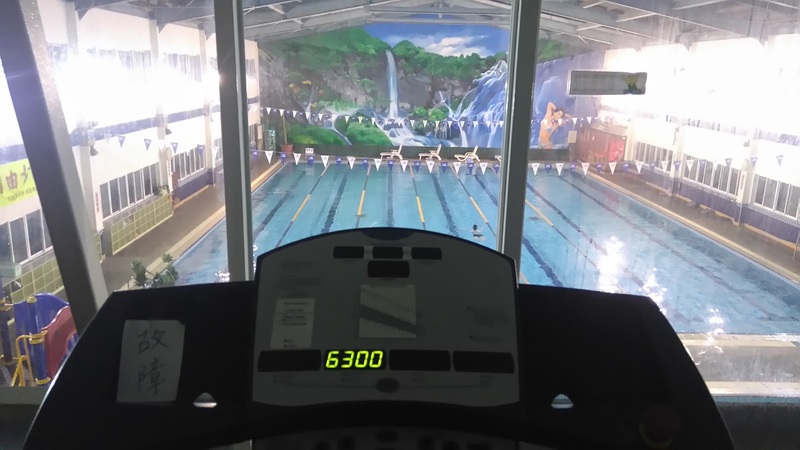 From the cardio equipment in the gym, you get a nice view of the pool to distract you from the boredom of running. 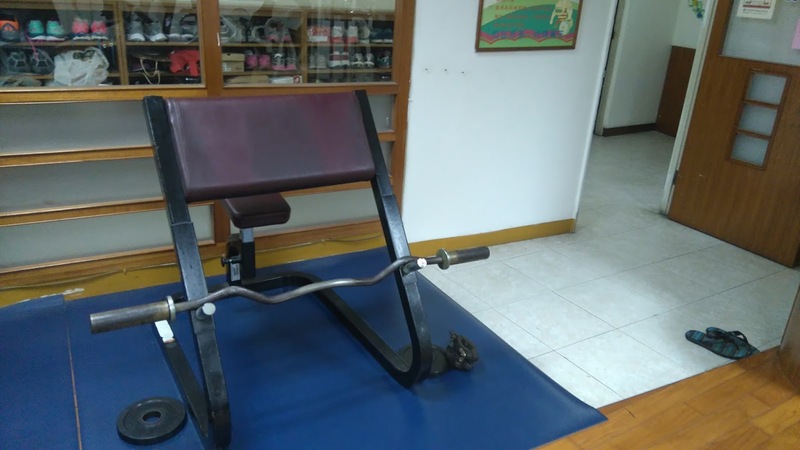 The gym itself has mainly machines, but there are a few dumbbells and free-weights dotted around, alongside bodyweight stations such as dips and pull-ups.The main issue here is that there is no barbell benches or a squat rack. There is however, a smith machine, meaning you could do these exercises there if you wanted. Personally, I hate squatting or benching in the smith machine, but I guess beggars cant be choosers. The gym has a vending machine in the lower floor which sells water and isotonic drinks, but there are no supplements here so you will need to bring your own. Who is this gym for? 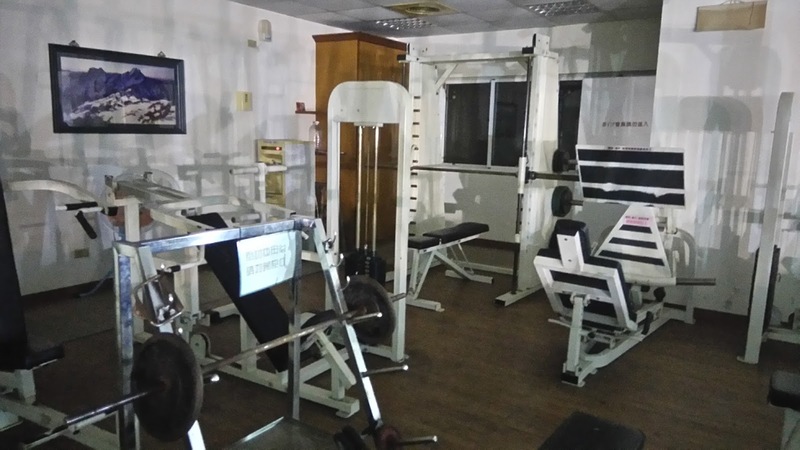 This is probably not the best gym for strength athletes or those looking to train a heavy chest day, due to the lack of dumbbells or barbell benches. But, given the limited options in the area, it is not a bad gym at all. 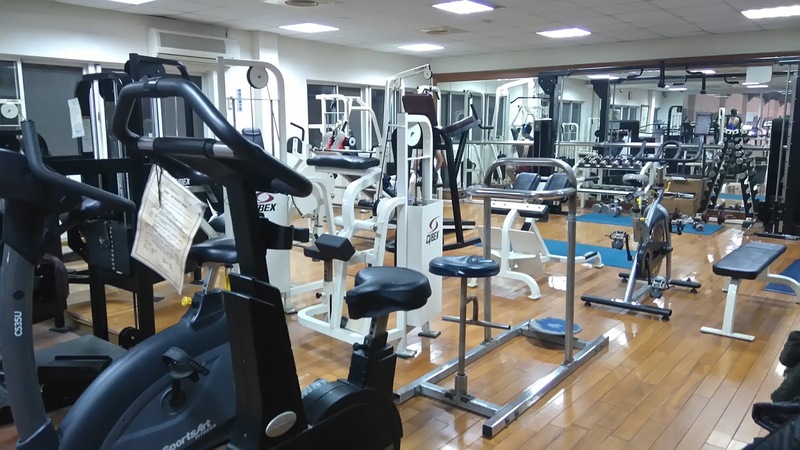 The gym is located a little while out of the centre of town, but Taiwan is so safe that I feel confident to recommend this gym to everyone. 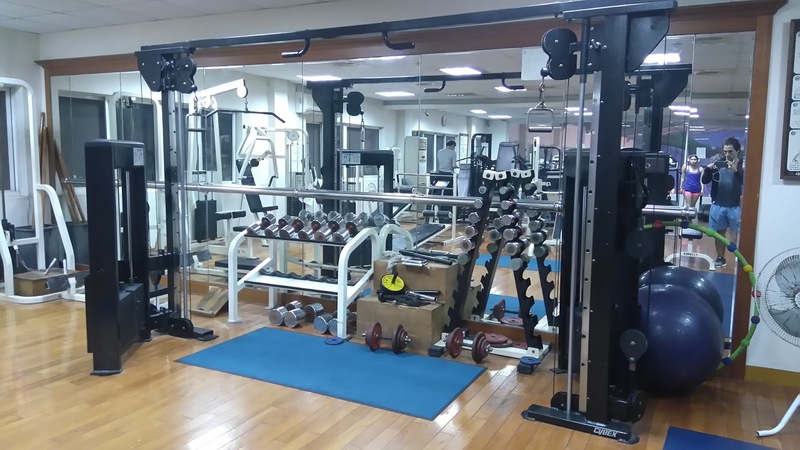 Tips: This gym is open until late on a Sunday, so if you are wanting to train on Sunday night then this may be the only option for you in Kaohsiung City.